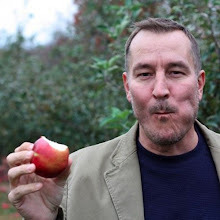 I have talked before about my Hungarian heritage and really do enjoy that side of myself — especially when it comes to the food. I do believe having that exposure at a young age shaped my desire for simple and minimal ingredients, locally grown and harvested. With that, I introduce kohlrabi (pronounced "Cole Robbie"). I picked these up at Farm to Family here in Richmond and knew I was going to recreate my grandmother's soup. 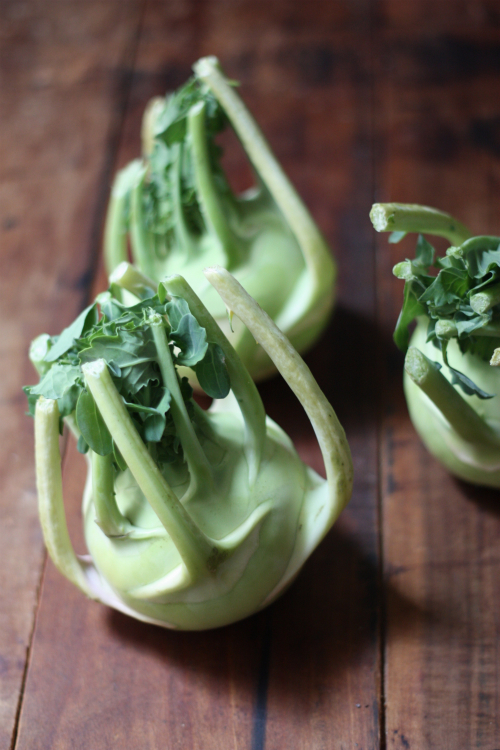 Fittingly, she grew her Kohlrabi locally just as these were! 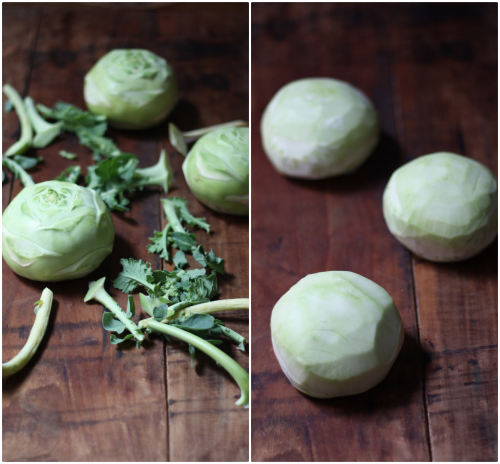 You can see this cabbage-like vegetable can be a little intimidating in the beginning but once you break it down you see it is quite easy to work with! Heat oil in a medium saucepan over medium heat. 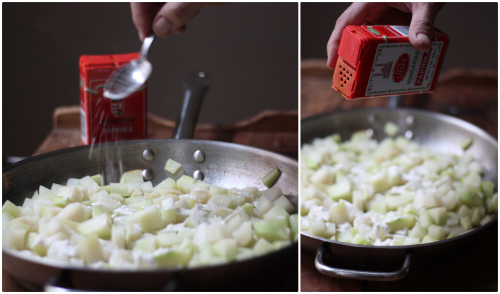 Add kohlrabi and stir to coat. 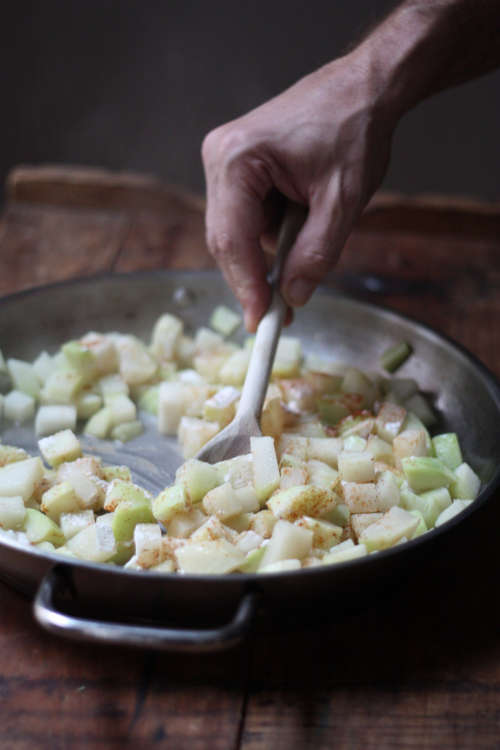 Add 2 tablespoons of water and cook, covered, stirring occasionally and, if necessary, add more water to cook kohlrabi until tender, about 20 minutes. Continue to cook until water has evaporated. Sprinkle in flour and paprika, stirring until incorporated. Add chicken or vegetable stock and bring to a boil. 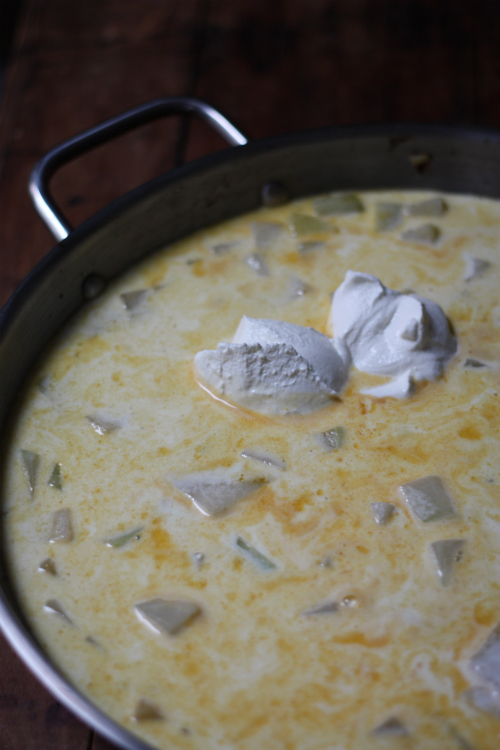 Stir in heavy cream and sour cream, and season with salt and pepper. Simmer until hot. Stir in finely chopped parsley before serving. 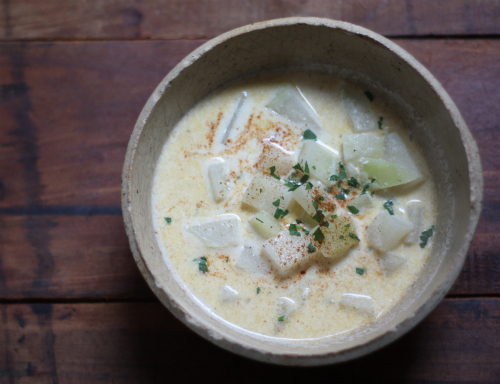 This soup was perfect on a dreary Sunday afternoon — warming, soothing, and a delicious memory! I have been on quite the Hungarian cooking kick of late and am really enjoying it. If you are not familiar with Cole Robbie (kohlrabi) I suggest you head on down to Farm to Family and introduce yourself! I bought some of this vegetable at the farmer's market this weekend too, and had no idea what to do with them...I was thinking a soup, and you've just confirmed that for me! Does it have a starchy texture, like potatoes? Valerie definitely the texture of a potato but with no starch. More of a cabbage but sweeter. Love to hear how it turns out! Thanks for stopping by. Sounds like your Hungarian grandmother is as special as mine was. Let me know that you think! Wow! I am going to have to try that! Thanks for stopping by. Thank you very much for stunning receipt! Thank you for taking a look and for your kind words! 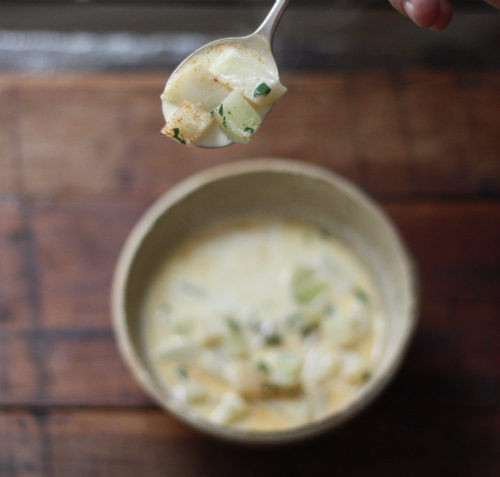 I found a very inaccurate incorrect recipe for kohlrabi soup in English on Pinterest and began to search for another - in English of course, because in Hungarian, I can - and this was it, on your side and it warmed my old Hungarian Heart it absolutely real, just like the first mom, since I have been serving it for all these years. As a child in his mother's kitchen, and later as an adult in my own kitchen, it also appeared as stowage although I most like it raw in small rods when still dandruff and a little sweet.